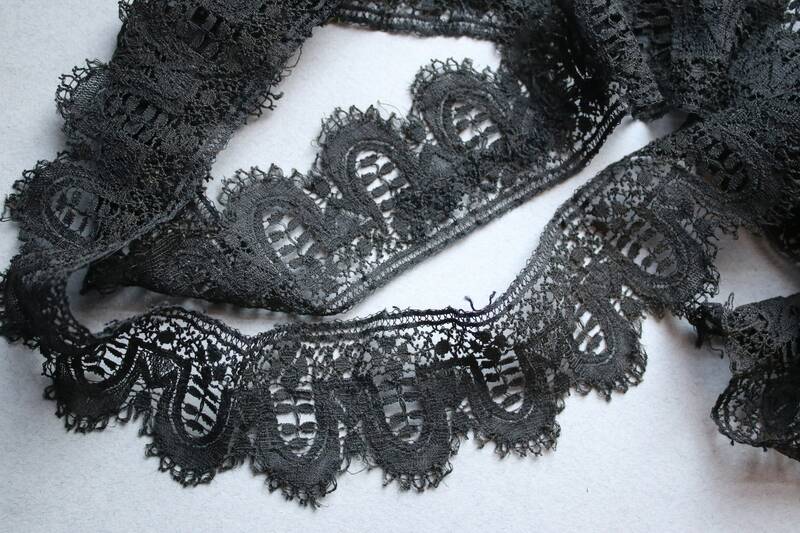 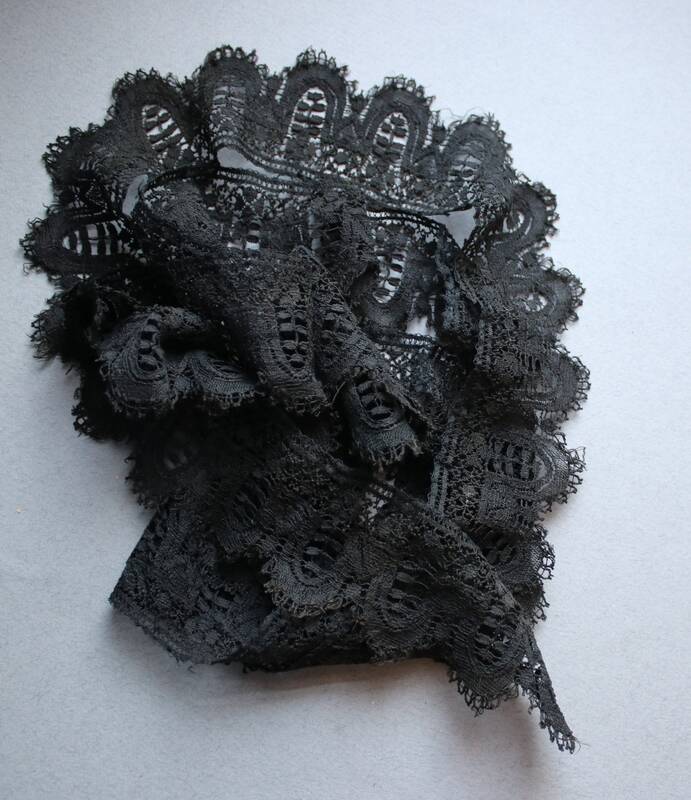 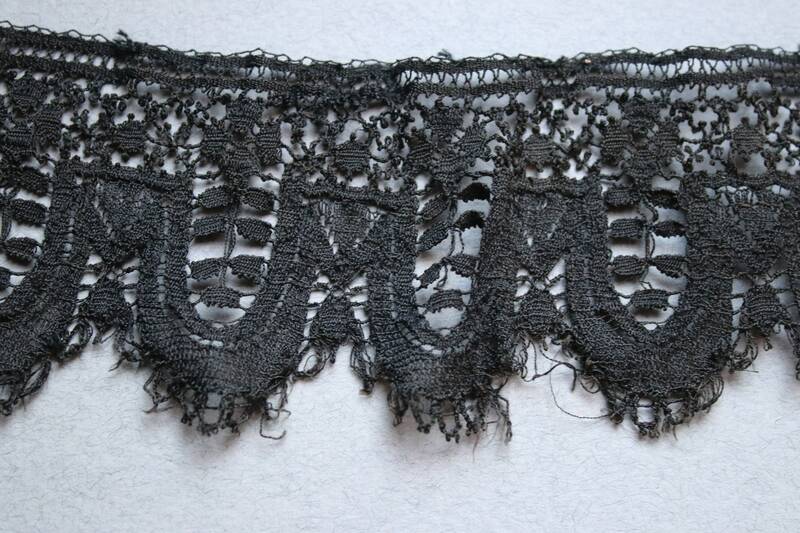 This Victorian era black lace trim is 75 inches in length/6.25 feet. 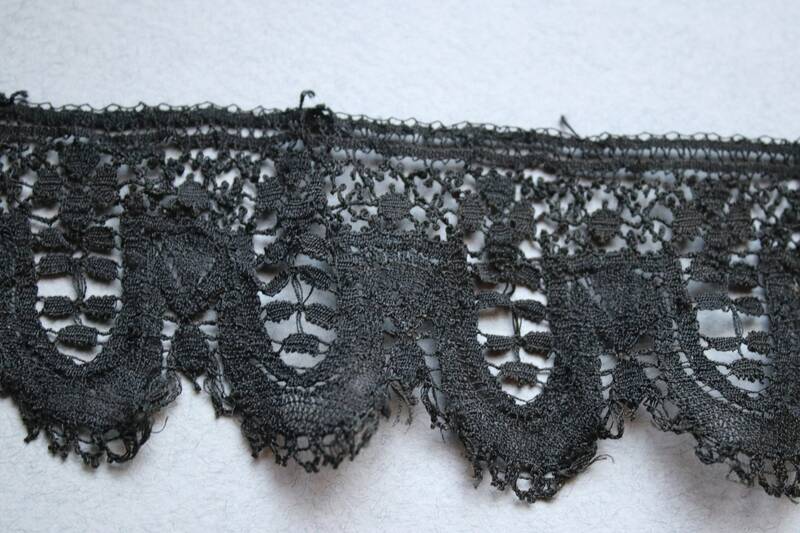 Width is 2". 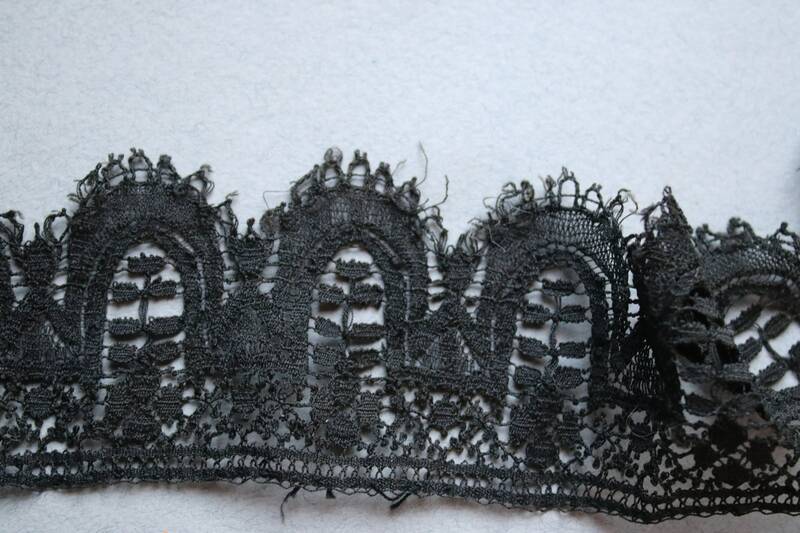 Please note the imperfections commensurate with age as shown in the photos. 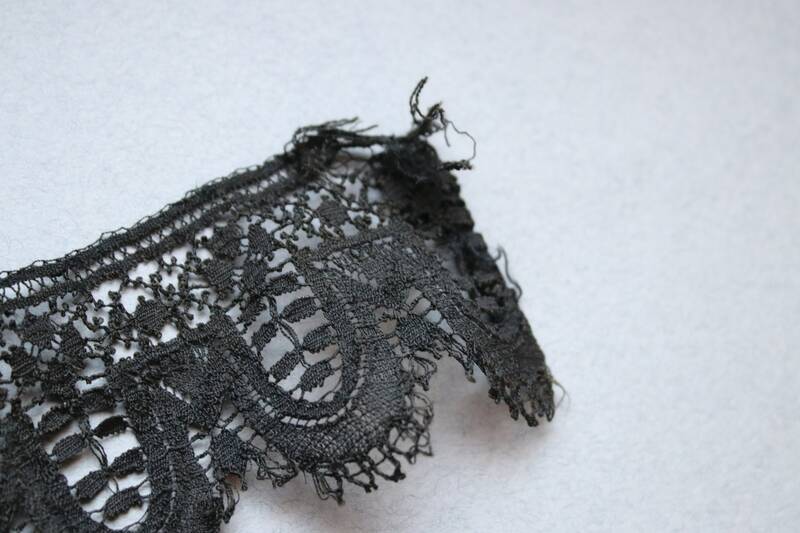 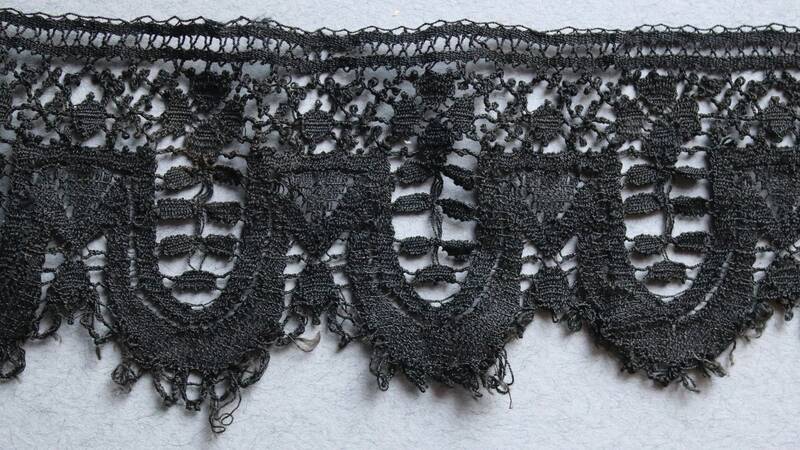 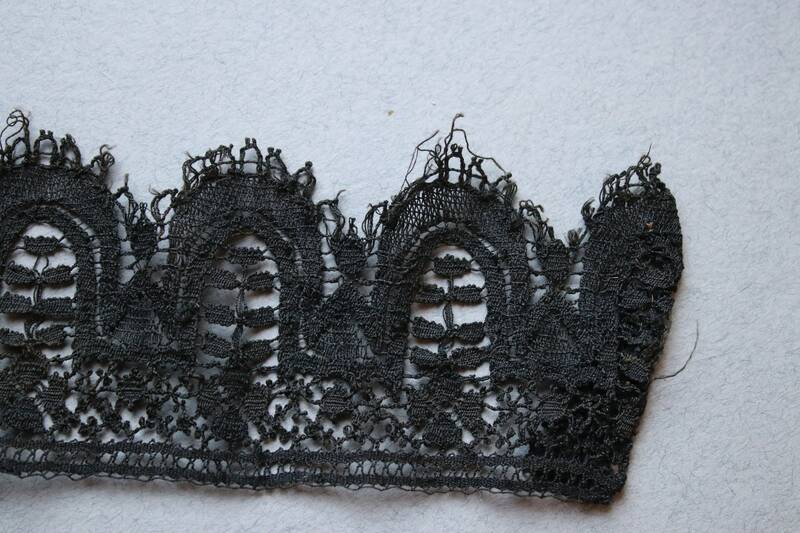 I do believe this lace once adorned a garment and was removed.